NASHVILLE, TN – Most businesses already understand the importance of a social media presence, as their potential customers are likely on Facebook, Twitter, Google+, or all three. For this article, we’ll focus on Facebook, and how it affects SEO. This isn’t a surprise. People are more likely to follow a friend’s recommendation on a great new restaurant or their favorite local spa than to take unknown (and potentially spambot) recommendations from the web. On Facebook’s Developers description of Open Graph, we see that when someone “likes” or comments on a business’s app, Facebook users have three places where they see that information just on Facebook. If the business has a “like” button on its website, then when someone views the business’s webpage, they can also see a count of how many people have “liked” the page from Facebook. For instance, if I “like” Blumhouse Productions, my Facebook friends will see that action in three places once they visit Facebook. The information will show up in my friends’ News Feed, on my Facebook Timeline, and on the Ticker (the new-ish box on the right of the screen that scrolls recent activity). Once you’ve gotten a “like” from someone, your subsequent posts will all end up in that person’s News Feed. That person is tuned-in to your business on a personal level. It also affects their friends, as the more activity your fans bring (“liking” your posts, commenting or sharing your posts), the more potential you have to gain viewers or “fans”. Facebook gives developers and businesses with web savvy comprehensive information on how to use Facebook to its fullest. In the Key Concepts for Open Graph, Facebook explains how different sites can tailor their keywords, i.e., their Objects and Actions, to their company. Explaining further, the page states: “First you must define your actions and objects in the Dev App. For example, a running app may define “Routes” and “Marathons” as objects, and “Run” as the action in the Dev App. A cooking app may define “Recipe” and “Menu” as objects, and “Cook” as the action.” This is basically adding specific keywords to your business’s app to further integrate with Facebook. So what does all this mean for SEO? Well, when you’re on Facebook and you search for “Nashville bakeries”, any bakeries you’ve “liked” will pop up. If you haven’t “liked” any, search results from the web will show inside of Facebook, powered by Bing. Therefore, optimizing your website for Bing results can be a big help for a user performing a search within Facebook. Jim Yu, CEO of BrightEdge, mentioned SEO strategy for social media in a panel on Facebook, Twitter & SEO at the Search Marketing Expo East in 2011. His tips for optimizing your Facebook page are very informative, including: “Use brand name in wall posts and tweets” and “push for engagement through likes and shares.” He also urges posting useful content as well as asking yourself if you’re using your SEO knowledge to freshen up your Facebook page. In a recent Millionairium blog post titled “Top Five Free SEO Tips of the Week”, we highlighted how to optimize your business Facebook page. Facebook is a great place to promote your business. First, the market is giant! Facebook will introduce your business to a vast amount of people. Second, the fans that “like” your page can become a community, sharing information and automatically seeing your posts on their News Feeds. This provides an organic opportunity to share special promotions for your business and gain new customers. Thank you so much for this very nice post! 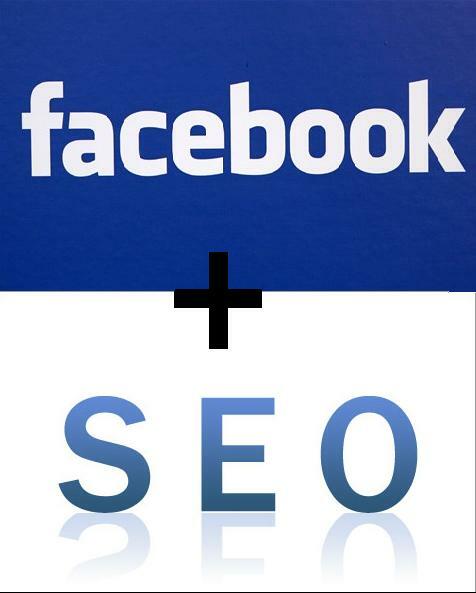 Facebook and SEO does help the business a lot! Knowing the fact that most of the people have access to facebook that is why businessmen would prefer doing business online because they are aware that most of their potential customers are out there in the internet while SEO does generate thousands of visits with just a single click to the link.